2016 is over halfway gone. Let’s look back at some of this year’s best examples of translation gone wrong (so far). 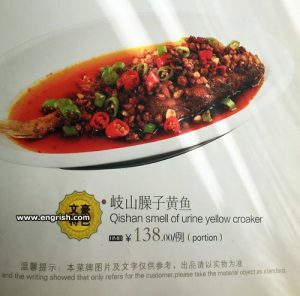 This year, we have a little bit of everything, from menu translations that will kill your appetite to translation gaffes from major political candidates. 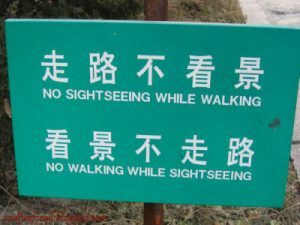 Here are the biggest and funniest translation fails of 2016! Who knew Led Zeppelin’s 1969 hit Ramble On was actually an ode to Russian girls? Well, you might have thought so, anyway, if you’d been using Google Translate to translate from Ukrainian into Russian in January 2016. A glitch caused the service to translate “Russia” into “Mordor,” the fictional home of Sauron in The Lord of the Rings. According to the BBC, the error came about due to a flurry of internet chatter following Russia’s 2014 annexation of Crimea. 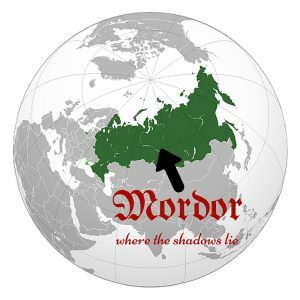 Online commentators in Ukraine began referring to Russia as “Mordor,” and Google Translate picked up on it. Around the world, kids (and kids at heart) have a soft spot for cartoons. However, just because animation is usually aimed at children, that doesn’t mean translating it is child’s play. Translation fails in animation can be caused by carelessness or sheer cultural differences. In some cases, censorship or overly aggressive localization can also leave fans confused or offended. Here are five cartoon shows that lost something in translation. The New York Times’ Brian Feldman dubbed this feature-length cartoon “Netflix’s Worst Movie.” Now, we’re certainly not blaming the localisation team completely. After all, even the best translator can’t spin straw into gold. They have to work with the material they’re given. From the very first scene in Leo the Lion, it’s abundantly clear that you’re not watching fine Italian cinema. Our theory: whoever was in charge of localisation threw their hands up in the air and backed away rather than spending time making the subtitles match the dialogue, or the dialogue correspond to the characters’ lip movements. If you’re an Amazon Prime junkie, I don’t need to tell you that Tuesday was Prime Day. Your bank balance is probably enough of a reminder. For everyone else, Prime Day is Amazon’s self-created sales holiday, with deals on just about everything. Amazon itself excels at localization. And we’ve held them up as an example of a company that gets it right. But that’s not always true of the third-party sellers that offer their products in the Amazon marketplace. 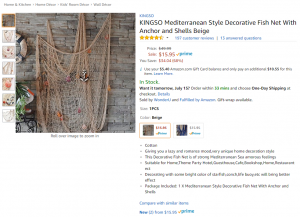 Product descriptions are provided by the sellers, not by Amazon. All too often, the sellers lack either the will or the resources to make quality translations a priority. Picture the scene, it’s the weekend, the sun is shining, not a cloud in the sky, a perfect day for a leisurely drive. About an hour into your jaunt around the local country roads, you notice a strange clunking sound coming from under the bonnet. It looks like a trip to the garage is in order. Once you get home you call the guy (or girl) you always call when your car needs attention. You drop it off at the garage and wait for the workshop to call, what are the first three things you want to learn from that call?… Most people would likely answer along the lines of “can they fix it, what is it going to cost and how long is it going to take”, probably in that order. Naming a product for an international audience is harder than it looks. Exhibit A: the Hyundai KONA. The “subcompact crossover,” released last year in the UK, introduces a distinctive “rugged” and “funky” design. Unfortunately, however, the name “KONA” has unfortunate sound-alikes and double meanings that make it a translation fail in more than one European language. Alas for Hyundai, those pleasant associations are not quite universal. Polish speakers represent a sizeable market, both within the UK and within the EU as a whole. There are over 55 million Polish speakers around the world, and it’s the sixth biggest language in the EU by number of native speakers. In the UK, 546,000 speak Polish, making it our most common immigrant language. “Hyundai is dying” is not exactly the message you want people to have, even in the back of their minds, when they’re car shopping. In Portuguese, the situation is even worse. As Carscoops points out, in Portuguese, the soundalike word “cona” is a rather crude term for a part of the female anatomy. And in fact, this isn’t even the first time an auto manufacturer has had this issue – Opel had to rename their “Ascona” in the Portuguese market for the same reason. Fortunately, Hyundai has announced that the KONA will be marketed as the Hyundai Kauai in Portugal. However, rebranding in Portugal may not be enough. “Cona” means the same thing in Galician as it does in Portuguese, so you can add Spain’s 2.4 million Galician speakers to the list of people who are likely to be some combination of amused, horrified, and offended. I’ll just stand here looking bored, I suppose . 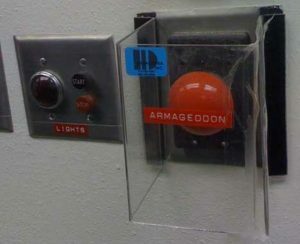 . .
As if pressing the big red button wasn’t tempting enough, pressing this particular big red button appears to bring on the apocalypse. You know you want to push it, just to see what happens. Don’t you? Bad trip, man, bad trip! I think I’ve lost my appetite. . .
I’m not sure what they serve here, but I don’t think I want it for breakfast. Christmas has come and gone. This year, we’re taking a look back and reviewing the funniest Christmas-themed translation fails for your amusement. Sit back, pour yourself a cup of tea, and check out these hilarious Christmas translation errors. It’s the most wonderfully throlling time of the year. What happened to Mrs. Claus? I was under the impression Santa Claus already HAD a wife? All’s fair between consenting adults . . . But for most people, celebrating Christmas with “the family, the lover and the friend” sounds like it could get awkward rather quickly. “Eros” and “Christmas” . . . Two words that don’t go together unless you’re marketing adult products. And is it just me, or does that reindeer have murder in its eyes? We’ve all heard of Santa Claus, but what about the Santa Chicken? Does he leave buckets of fried chicken in your stocking? As hilarious as this billboard is, it’s actually a testament to the international marketing genius of Kentucky Fried Chicken. They got off to a rough start in China, where their famous slogan “Finger-licking good” was mistranslated as “Eat Your Fingers Off.” However, they’re now the most popular fast food chain in China. Meanwhile, KFC fried chicken has become a traditional Christmas dinner in Japan. Around 3.6 million Japanese families celebrate the holiday with buckets of extra crispy chicken marinated in the Colonel’s secret blend of herbs and spices. The tradition was started by KFC Japan’s first CEO in 1974, who marketed a family-sized fried chicken meal as “Kurisumasu ni wa Kentakkii: Kentucky for Christmas.” Nobody in Kentucky actually eats fried chicken for Christmas, mind you, but it caught on in Japan. And judging by the billboard, it’s spread to South Korea as well. Close, but no cigar. . . Here comes Santa Close, Here comes Santa Close . . . Wait, that’s not quite right, is it? Dying is hard, translation is harder. Die Hard: With a Vengeance was translated as Die Hard: Mega Hard in Denmark. In one of the foreign versions of Die Hard 2, the line “You’ll get the pink slip for Christmas” is translated as “you’ll get red underpants in Santa Claus’ stocking.” The translator thought “pink slip” referred to women’s undergarments. Actually, it’s an Americanism for losing one’s job. I’m sure you see the problem here. Holiday translation fails aren’t limited to Christmas. Retail stores courting Jewish customers in the United States sometimes make facepalm-worthy blunders. We shouldn’t need to spell this out, but pork in all of its many forms is a no-no for observant Jews. Not sure how this made it past the proofreader, or if a last-minute change in font was the culprit. Either way, it’s not the impression you want to leave in a major newspaper, is it? Was the Virgin Birth the original Christmas translation fail? The Virgin Birth and Virgin Mary are, pardon the pun, pregnant with social symbolic significance in most, if not all, parts of the world . . . And yet their birth is due to a relatively simple mistake in translation. The Old Testament talks about almah ‘young woman,’ not bethulah ‘virgin.’ However, the scholars in the 3rd century BC translated the Hebrew almah as parthenos in Greek. Thus the ‘young woman’ in Hebrew metamorphosed into a ‘virgin’ in Greek—and she has remained a virgin ever since in translations across the world. The notion of ‘virgin birth’ was born, thanks to a mistranslation. Don’t want to get coal in your stocking (or alienate your customers during a busy shopping season?) Make sure your translations are correct and culturally appropriate by partnering with a reputable translation agency like K International. We offer translation, transcreation and consulting services so you can be sure your holiday marketing hits all the right notes everywhere you do business, in more than 250 languages. For more information, take a look at our language services and feel free to contact us. For everyone who celebrated, we hope you had a Merry Christmas! And if you see any other Christmas translation fails, feel free to share them in the comments. Sometimes, the hardest part of a movie to translate is the title, and the results can be unintentionally hilarious. To prove it, here are 28 movie title translations, translated back into English. Can you guess the original titles? The answers are below the fold. Is The Spy Capable Or Not? It’s Halloween! 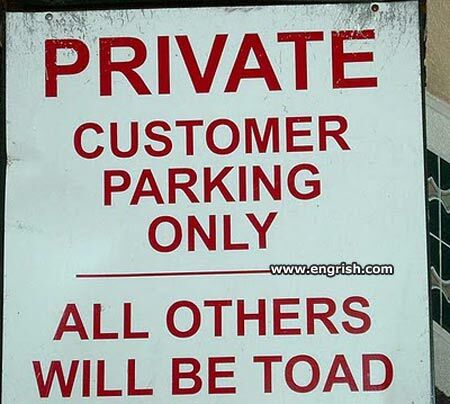 To celebrate, let’s take a look at the dark side of translation: horrifyingly bad translations that just won’t die. Where do they come from? Sometimes, mad marketing “scientists” stitch them together, unaware that they’ve created a monster until it’s too late. More often, they’re spawned by the brainless zombie algorithms of machine translation. 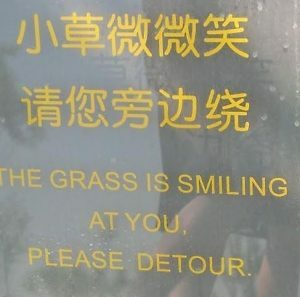 Either way, these translation fails are guaranteed to give you goosebumps! Unfortunately, in China this was originally translated to “Pepsi-Cola will bring your ancestors back from the dead.” There are also reports that it was initially translated as “Come out of the grave with Pepsi” in German. Either way, the spectre of a zombie army of reanimated corpses roaming the land in search of Pepsi (and brains, presumably) did not produce the desired sales increase. I wonder why?